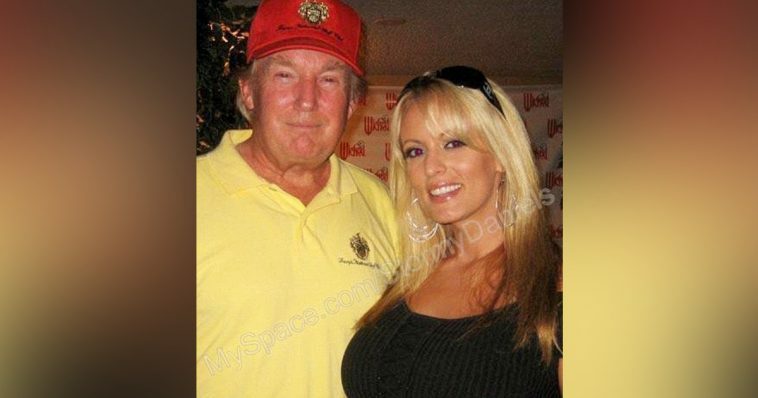 The well-known adult star Stormy Daniels has actually filed a lawsuit against United States President Donald J. Trump, asserting that the $130,000 non-disclosure agreement was never signed by him personally. Trump’s lawyer allegedly arranged an agreement prior to the election in 2016. Stephanie Clifford, which is Daniels’ real name, stated that Trump’s trusted personal attorney—Michael Cohen—has carried on with his attempts to prevent her from revealing details about the alleged intimate relationship between her and the current US president. The relationship reportedly began in 2006—not long after Melania gave birth to Barron Trump—and ended in 2007. 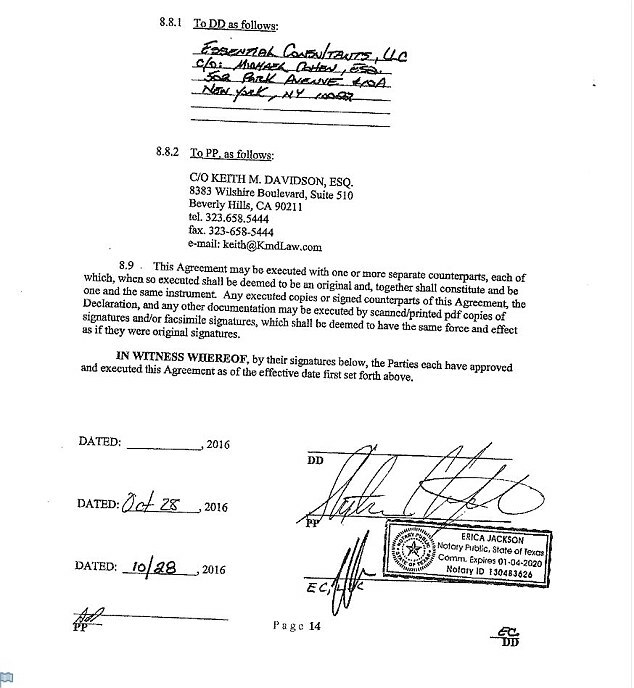 The non-disclosure agreement and a side letter signed by Clifford are shown as exhibits attached to the lawsuit, which her attorney filed in the Superior Court of Los Angeles. The agreement papers feature different names—Trump is referred as David Dennison, and Clifford is Peggy Peterson. The side letter’s main function is to reveal the true identities behind those names. Clifford signed the agreement by using her professional name. 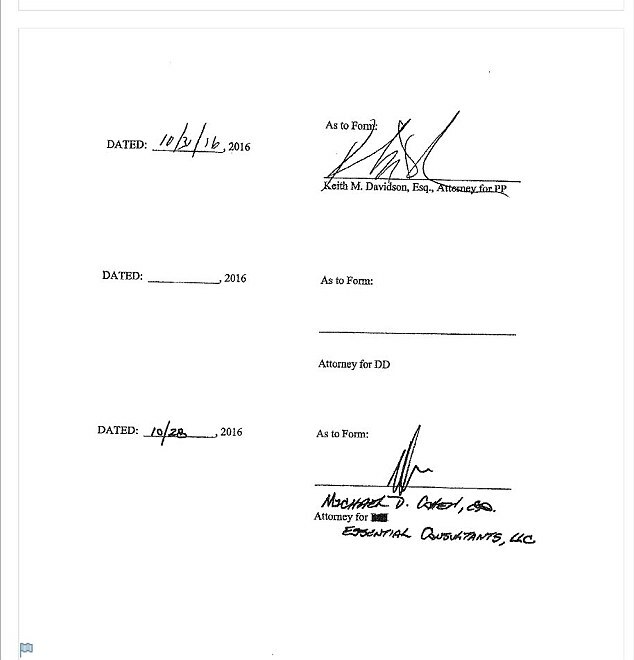 Michael Cohen also signed the document, but there was a blank space left; it was marked with “DD”—this is where Trump should have signed, but he didn’t. Michael Avenatti is Stephanie Cliffords’s lawyer. 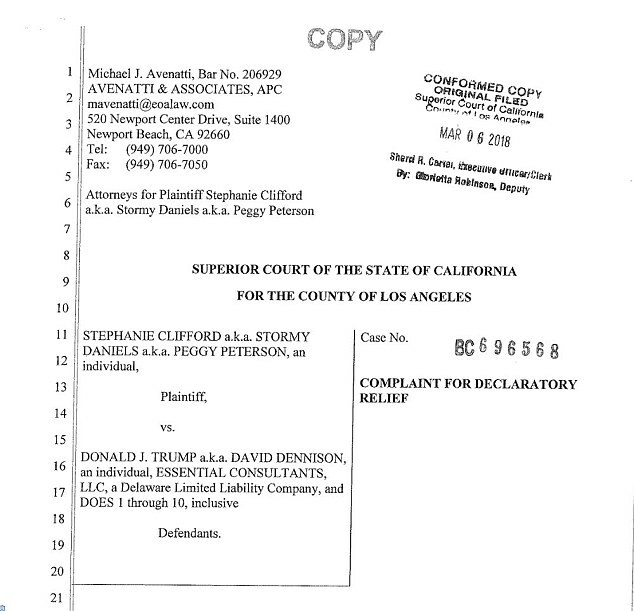 He shared the lawsuit on Twitter, saying that he and his client have filed a complaint seeking a confidential treatment order, which should void the non-disclosure agreement between his client—Stephanie Clifford, aka Stormy Daniels—and Donald Trump. The lawsuit says that Michael Cohen’s attempts to prevent Clifford from speaking about her relationship with Trump were persistent and frequent, and the last attempt was on the 27th of February 2018. According to the lawsuit, the numerous attempts by Cohen to put pressure on Clifford and ensure her silence about her past with Trump remain persistent. The suit also stated that around the 27th of February 2018, Donald Trump’s lawyer Michael Cohen secretively initiated an arbitration proceeding against Stephanie Clifford. The arbitration proceeding took place in Los Angeles. 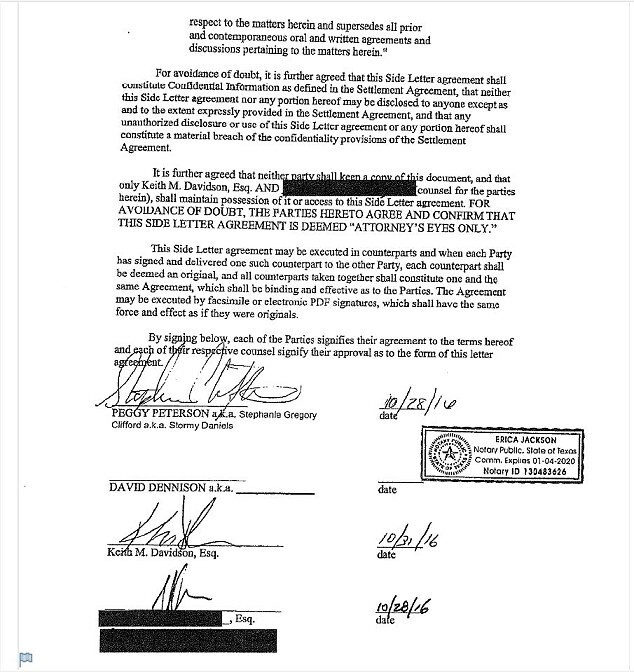 What Avenatti and his client actually want is for the court to announce that the non-disclosure agreement was actually never agreed upon and therefore never existed—because Donald Trump never signed the document. 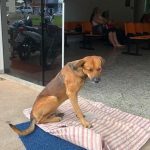 The lawsuit also states that the Plaintiff would like to receive an order by the Court, which would serve as a declaration that all agreements made in Exhibit 1 and Exhibit 2 are not valid and completely unenforceable—as well as void under the doctrine of unconscionability. Another allegation of the lawsuit is the President’s probable awareness of Cohen’s attempts to silence Clifford, because the lawyer was a member of the New York bar; therefore, he is obligated to inform his client about everything that happens during a case. As the statement goes, it is very doubtful and unlikely that Michael Cohen acted on his own and without the knowledge, opinion, and approval of his client—Donald Trump. Days before the presidential election in 2016, Clifford was allegedly paid $130,000 in relation to the non-disclosure agreement, which was supposed to prevent her from spreading any information about Donald Trump or his intimate life to anyone else—except a small number of people who already knew about the relationship. Clifford was also not allowed to share or sell any texts and photos relating her to Trump. President Trump never spoke publicly or commented about the rumored relationship between Clifford and himself. The White House also never gave a straight answer regarding any questions related to the affair. The spokesperson Raj Shah simply told the press that he never discussed such alleged relationship with the President Trump. Michael Cohen has previously stated that the money paid to Clifford after signing the non-disclosure came from his own pocket, but he never really specified what exactly they payment was supposed to cover. 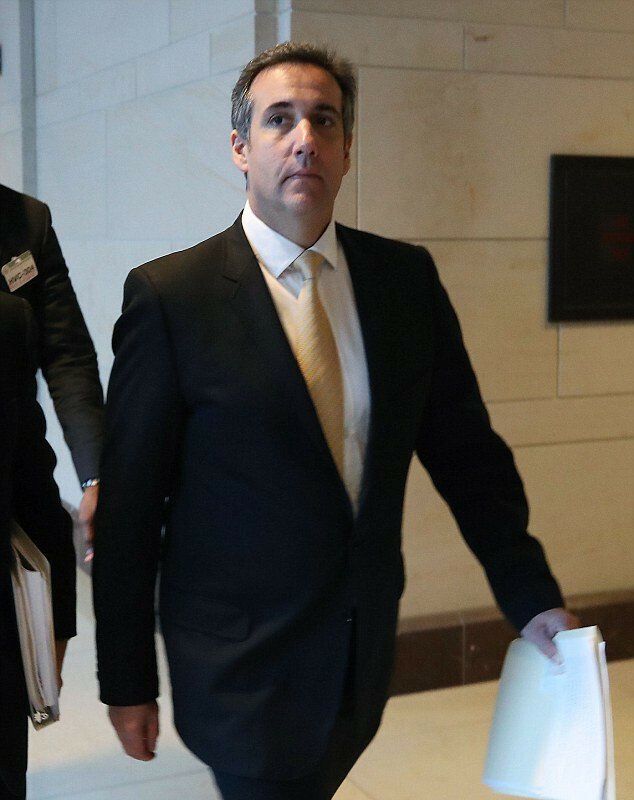 The recent lawsuit also stated that in January 2018 Michael Cohen was concerned about the ‘truth’ coming out; therefore, it has been alleged, he intimidated Stephanie Clifford and eventually forced her to sign a false statement saying that all of the reported details on her alleged affair with Donald Trump until that moment were not true.